1) The CPU mount has two crescent metal parts that make you think somehow they came loose and the back of the metal tension rod should be INSIDE when infact it's meant to be OUTSIDE. Tried like mad to get them to hook AROUND the rod but it's just really weird shaping. 2) Even though the guide shows that the RAM slots have a clasp that opens and closes on both ends, in fact only one end does that. I felt like I was going to break the RAM stick shoving it in. I guess they did it to save space given the size of the board, but I definitely felt like I was going to break something. After installation performance has been great. 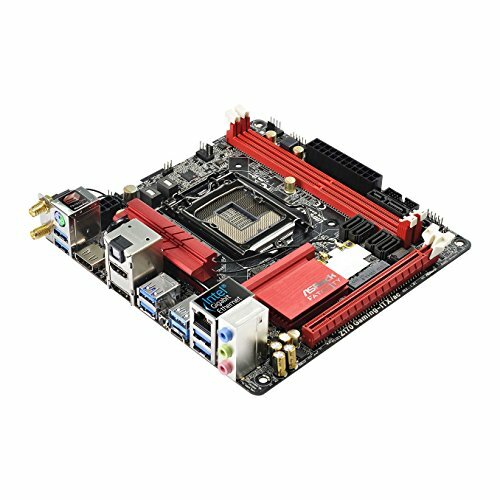 This is the most feature-packed Z170 Mini-ITX board. 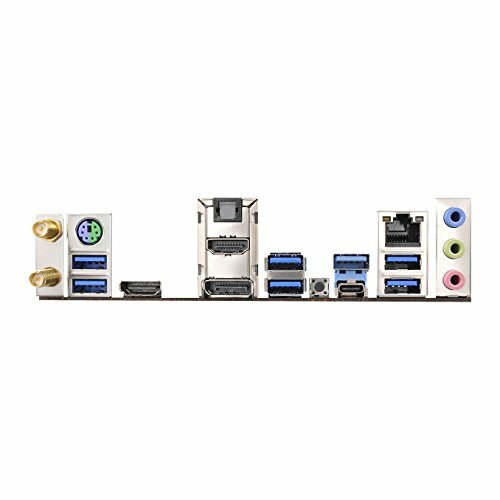 Perfect for overclocking, has an M.2 working in either SATA/PCIe x4 mode, USB 3.1 Type A + Type C and 6 x USB 3.0 ports on the back panel. It's UEFI BIOS is pretty easy to use with lots of nice features. Amazing little motherboard for the price. The DIMM's can be a bit tricky when installing RAM, keep an eye out on the side without the clasp, very easy to not seat the sticks properly. BIOS are very well organized and very simple to operate for Overclocking and changing XMP profiles. Great board so far. Wifi/Bluetooth is great and has 2 cha fan headers as well as 8 pin cpu power and M.2 slot. Tuning is easy in the BIOS and fan profiles are cully customizable. 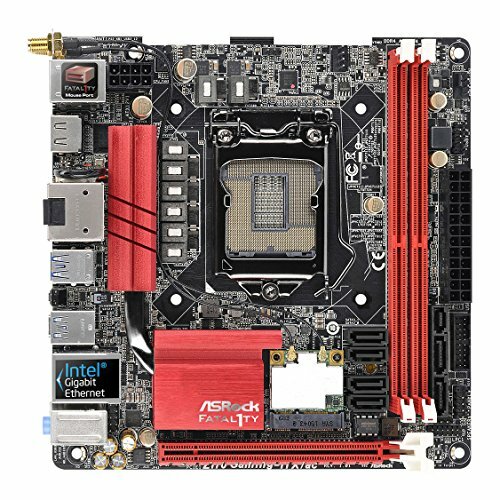 The M.2 connector is on the back of the board so be mindful of that with regard to heat dissipation and motherboard tray clearances. Stock voltage my second board shipped with was 0.997V which seemed a bit low for Skylake. It may just be undervolting for low loads. SPECIAL NOTE: The board doesn't like Noctua iPPC fans. I had two boards reject them. If you're using Noctuas, go with NF-F12S or NF-A14s. 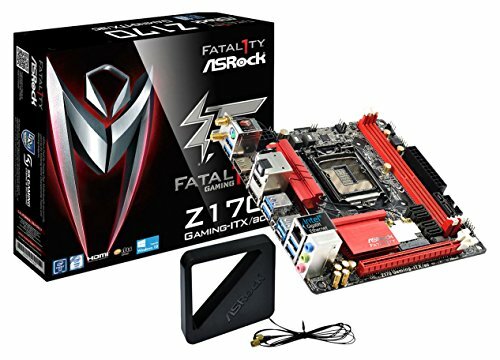 A Z170 board the USB 3.1, M.2, 4 SATA if using a SATA M.2, and low profile heat sinks to allow a large dual tower CPU cooler like the CRORIG R1. The only downer for me is the location of the SATA ports when using a massive air cooler they are not accessible. Everything I need, nothing I don't. (That's a lie, I don't actually use the M.2 Slot or the Video outs, but still). Solid board, was able to overclock my i5-6500 while undervolting, so power delivery is pretty stable. WiFi solution is as advertised, 8 USB ports on rear +4 on motherboard headers is pretty sweet. Pretty solid hardware so far though rumors abound about their quality control so maybe I just got lucky. Their software isn't polished at all but does seem to work pretty well. Great Board. Have zero problems with it.